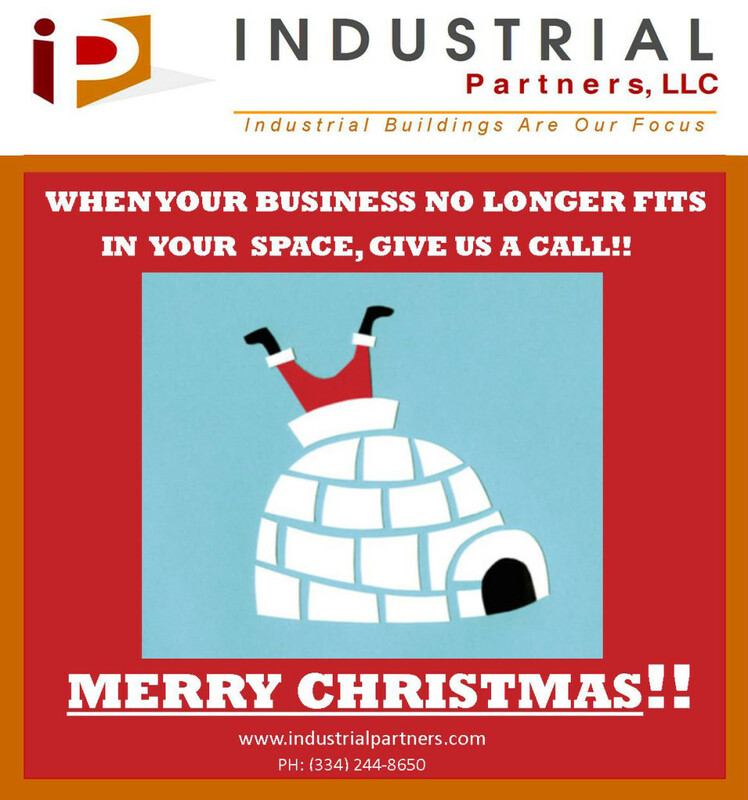 Industrial Partners wants to wish you a Merry Christmas!! 2014 has FLOWN by and the improving economy is evident in real estate activity. Business is definitely picking up and we are looking increasingly positive for 2015. If your space no longer suites you well, we have numerous square foot options available. Contact Industrial Partners for all your real estate needs – whether it be industrial, commercial , land or office space! From all of us at Industrial Partners, we wish you a Merry Christmas and a happy, prosperous New Year!! Remember to check out of space availability sheet for square foot options!